A drug offense charge is a very serious matter with potentially lifelong implications. You must take every step possible to obtain the best resolution in order to minimize the devastation that a possible drug conviction can impose on your life. The first step is to obtain a good criminal attorney. As a former police officer in Elizabeth, NJ, Victor Rotolo is fully familiar with police practices. 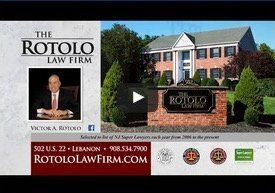 As an experienced criminal attorney, Victor Rotolo is your advocate in the courtroom. 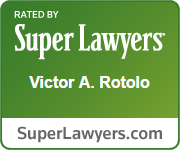 This combination of experience enables Victor Rotolo to defend his clients. In legal terms, ‘drug offense’ refers to possession, use, sale or furnishing of any intoxicating substance, drug, or drug paraphernalia prohibited by law. It is a crime to willfully possess illegal controlled substances such as marijuana, cocaine, crystal meth, methamphetamines, cocaine, ecstasy, LSD, "club drugs," heroin, and in certain instances prescription drugs. Possessing accessories related to drug use referred to as ‘drug paraphernalia,’ as well as "precursor" chemicals used in drug cultivation and manufacturing may also be considered a crime. The severity of the penalty of a drug crime is based on several factors among them: the quantity involved, whether or not there appears to be intent to sell or distribute the controlled substance, the type of drug involved, whether or not there was a weapon possession, and the geographic area of the offense. Possession of what is deemed a ‘small’ quantity may be considered “simple” possession, whereas possession of a large quantity may be presumed to be “possession with intent to distribute,” and, therefore, a more serious violation punishable by a heavier penalty. The more serious the crime, the more reason to hire an attorney who is serious about your representation. An experienced attorney will know what questions to ask and conduct an efficient and targeted investigation to provide an effective defense. Some issues often investigated and answered are as follows: Was there probable cause for a search warrant? Was there a search warrant? Was there racial profiling? 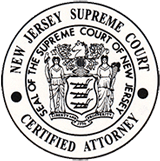 Was the evidence obtained illegally? Victor Rotolo can help you find the answers to these questions. If you have been accused of a drug crime or you have been arrested for possession, talk to an attorney. Contact Rotolo Karch Law today.